With the Change Your Life course just launched I wanted to share with you the first module on how to reflect on life for absolutely free. Whether you have decided to purchase the program or not, I want to make sure that all The Start of Happiness community have the opportunity to start building momentum for making this an absolutely amazing year. As I always say, success in life and positive change always takes action. If you do today what you have always done then tomorrow you will get what you have always had. In this module below, I encourage you to actually take the time to go through the exercises and reflect on your life. Reflection is key for understanding yourself and is the platform for building your most successful, fulfilling and happy life. You can also download this module for free and print off the workheets. 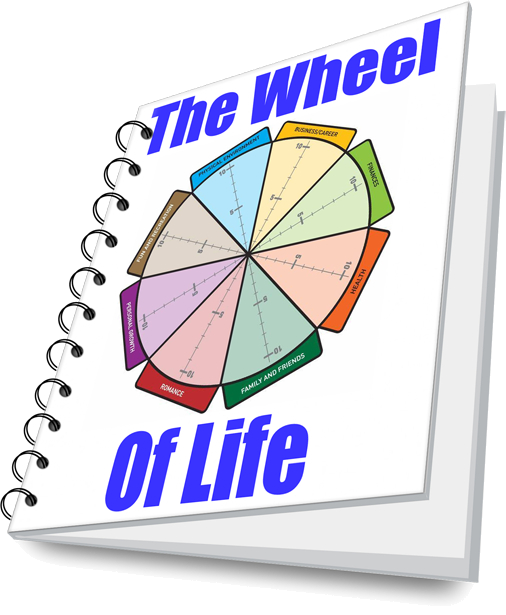 The Change Your Life program is the most comprehensive ‘life planning’ tool in the market and I want to see you succeed. I encourage you to take action to start building momentum for creating your best life. Download this module for free. This course is packed full of awesome tools, guides and resources to help you make this year the year that you change your life. However, before we jump straight into exactly what you will be doing for the year ahead, it’s beneficial to take some time out and reflect on the year that was. Have you ever practiced reflection? And SERIOUSLY practiced reflection? We reflect everyday through sharing stories with family and friends and through remembering activities we have done in our past, however we rarely take the time out to SERIOUSLY practice reflection. When we make it a conscious effort to reflect, we experience a number of benefits. Reflection can transform your experience into genuine learning. It can help you gain a more complete understanding of your values, your goals and what you believe in. Reflection can help you connect the activities you have done in your life to outcomes achieved, helping you determine whether you are making the right decisions or not. Reflection can help you develop higher-level thinking and problem-solving ability, something that you are going to be needing for the rest of this course and to make 2013 the year you change your life. Reflection raises your self-awareness, helping you understand more about yourself and your reactions to the world. Reflection can relax you, helping you become calmer and help you think more clearly and deeply. Reflection can help develop your questioning attitude and enable you to see things from a new perspective. Reflection can help you identify areas for change and improvement. Reflection can help you apply what you have learned from one situation to another, also enabling you to react more positively and constructively to new challenges. Reflection can help you remain committed to your goals, your vision and your purpose, something you will be needing throughout the year and also the rest of your life. Ultimately, reflection enables us to evaluate experience, learn from mistakes, repeat successes, revise and plan. Reflection is a form of meta-cognition or “thinking about thinking”. You need to be able to understand your actions, your behaviours and how you think, in order to be able to set an appropriate vision and goal for the year. Spending time and reflecting on your goals, your progress and your life is an essential habit to get into to ensure absolute success. This habit will ensure you are continually learning, continually focused and continually progressing towards your goals. You are going to be able to start practicing this now by reflecting on the year that was. Gibbs, G. (1988) Learning by Doing: A Guide to Teaching and Learning Methods London, UK: Further Education Unit. Ensure you are in a comfortable space and away from any distractions. Potentially you may even want to get outside, away from your home, away from your work, and find a place where you can completely set your mind free and reflect. Read through the below and answer the questions in the templates provided. Close your eyes and cast your mind back to January of 2012. You have now experienced the full year of 2012. Reflecting on the year, answer the below questions openly, thoughtfully and honestly. What have been the 10 best experiences I have had? Why were these my best experiences and how did they make me feel? Experience Why How did it make me feel? Who else was involved in the above experiences? Is there a common theme? Looking back on the previous year, what was my biggest achievement or accomplishment and why? How did I feel when I achieved the above? Who else was involved and who supported me? If I was to do this (or something similar) again this year, what would I do differently? What are 10 things that I am very grateful for that have been in my life in the previous year? What were my New Years Resolutions at the start of the previous year? Was I successful in achieving them? Why or why not? What would I do differently this year if I had similar resolutions? Who has been my biggest support in the previous year and why? How can I show my appreciation for this support and ensure this support continues this year and beyond? Thinking of my career/uni/college/work, what have been my major achievements this year? How has the above helped me progress towards where I want to go with my life and career? What are three things I would do differently this year to help me progress towards where I want to go in my career? What has made me upset, stressed, anxious or fearful during the previous year? Why? How did I overcome this feeling? What can I do differently this year to minimise these feelings? Who or what has inspired me during the past year and why? Who or what has challenged me during the past year and why? Who or what has held me back and prohibited me from achieving my goals in the past year? What was the most time-wasting habit or activity I did during the past year? What can I do differently this year to minimise or eliminate this? How have I grown emotionally during the past year? How have I grown spiritually during the past year? How have I grown financially during the past year? How have I grown physically during the past year? What hidden strength did I uncover during the past year? What are three words that can sum-up or describe my previous year? What are the 3 most significant things I have learned in the previous year? What would I do differently this year and why? You have just completed the first part of the Change Your Life course. Now that you have gone through the exercise of reflecting on the previous year, you should have a better understanding of what you are proud of, what makes you happy, who is in your support network, what is holding you back and where your strengths lie. You will now also have a better understanding of what you can do differently this year to help you progress towards where it is that you want to go in your life. Use the information you have captured here to help you plan for way for 2013 and beyond. Now that you have developed the skill of reflecting, I highly recommend that at the end of each module you reflect on what you have learned so far in the course. Consistently reflecting over and referring back to the information you have covered in this course will help embed the information and create the successful habit of reflection. Click here to be taken to the Change Your Life program where you can have access to the full program including 21 modules. If you do today what you have always done then tomorrow you will get what you have always had. Do you know of someone that would love to see this? Please feel free to share via one of the buttons below! Very thorough self-assessment Brendan. Knowing where you stand is absolutely vital to determine in which direction you should take your first step. Otherwise, it’s all too easy to get lost along the way. If the rest of the course is as thorough, it looks to be a good one. Hi Trev, you’ve got that right! Without reflection you don’t have clarity of your starting position and your setting yourself up for a slower and lower probability of success. I like reflecting on life, it’s so helpful and makes me think of my mistakes and achievements, so I can make the conclusions after some period. Thanks for the helpful post Brendan! Hi Roman, glad you enjoyed! It’s all about learning about yourself… it accelerates you to where you want to go. Wow it’s funny that I come across this article now. Because today I decided to take time to reflect and get more clarity around what i’m doing. I’ve been taking massive action which is awesome, but I realized I need to focus in a different way, become more clear on things. It’s definately a valuable thing to do every now and then. You’ve got the formula right…. reflecting and focusing + massive action = success. No alternatives! Great tools for a full year reflection. Thanks Brendan! I would also like to add in the benefits of keeping up reflection as a regular habit. Reflecting backwards and thinking ahead is just like playing golf – we never land exactly where we want to, but with some quick adjustments already for the next strike we will get closer to where we want to for each strike. A high frequency of reflecting keeps us aligned towards the goal. I personally learned to reflect after every day. I mean, that can of course become a hit tough to keep up, but at least a minor reflection time at the end of each week is really recommended to get clarity and focus in your life. Thanks again for posting the first module! I absolutely love your golf analogy! Agree… all it takes is 5 minutes when you get into bed at the end of each day to look back over the days events and think through what worked, what you could have done better and how to prepare yourself for next time… whatever it may be! I will immediately take hold of your rss feed as I can not in finding your email subscription hyperlink or e-newsletter service. Do you’ve any? Please allow me realize so that I could subscribe. Thanks.